Geometrics are one of this year's hottest interior design trends and there's no reason why you can't embrace the modern designs, when done correctly it's a fabulous way to modernise your home and give it a polished look. Geometrics have the natural ability to be the focal point in a room as they add visual interest which automatically draws the eye. Choose patterned blinds that compliment your colour scheme, although you want them to be the focal point they shouldn't be jarring on the eye. Likewise, opt for geometric patterns with a print size that doesn't overwhelm the room, unless you're going for a Retro style. When it comes to geometrics a little goes a long way, and while having a variety of patterns isn't necessarily a bad thing, too many and you run the risk of making the room look confused rather than polished. Having one statement piece, in this case geometric blinds, and you'll achieve a stunning interior that oozes fashionable styling. For those on a tight budget it's worth noting that as geometric patterns pack a big visual punch a single item gives you great value for money. Although we tend to think of geometric as big bold patterns, natural geometry is all around us, and has been used for inspired designs for hundreds of centuries. The Aztec, Greeks and Moroccans have used geometric patterns to adorn the homes, clothing and accessories. In interior design patterns, such as keystones, have always be popular for both architecture and internal flooring and walls. During the Art Deco era the straight angular lines of parquet floors became the vogue, while black and white chequered boards have timeless appeal. Step back in time to the 70s and change your theme to Retro. 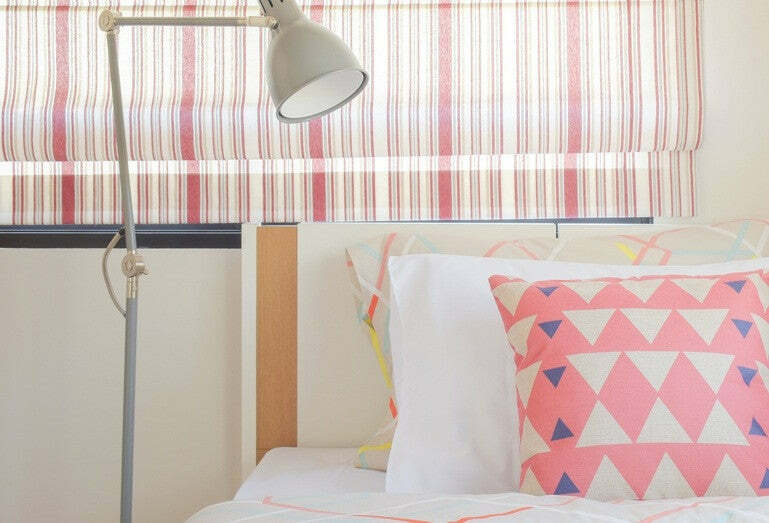 Use geometric blinds which have a large, simple pattern and colours of the 70s. The blinds will make a statement at you windows and when paired with geometric cushions and floor rugs, give your room a balanced, funky look. Today new technologies give us pixel prints and graphics, which are of course made up from geometric patterns. 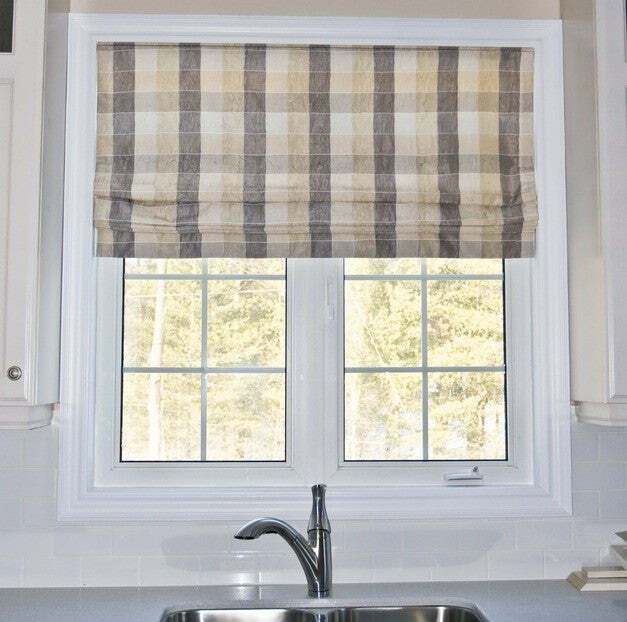 In your home geometric roller blinds and patterned blinds will give your rooms an instant modernisation no matter what style of interior you have. Whether the geometric pattern is subdued and takes backstage, as in semi-plain fabrics, or it is big and bold to make a statement, you will find that it will bring a fresh feel and look to a room. Geometrics have been adorning homes for many years, they are a timeless classic that never really goes out of fashion. So, if you want to modernise a room use geometric blinds, you will find that they look amazing, providing you with an affordable way to dress your windows that will give you years of visual interest irrespective of your chosen decorating motif, style or colour scheme.